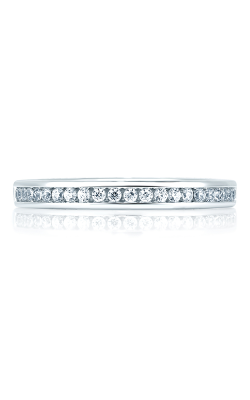 wedding bands have been a staple of women’s jewelry for millennia, shifting quickly from materials like reeds and bone to precious metals by the time of Ancient Rome. Ever since, metals like gold and silver have been the first choice for women looking to celebrate the most precious day of their lives. However, thanks to the rise of modern technology and alternative metals, contemporary people don’t have to stay with traditional choices when they’re selecting bands for men or wedding bands for women. 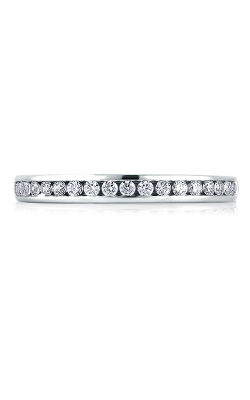 Here at BENARI JEWELERS, we’re pleased to be able to offer a wide variety of wedding bands from the most creative designers in the industry. One of our most popular designers is Barkev’s, whose wedding bands for women turn their collective eye toward the avant-garde. 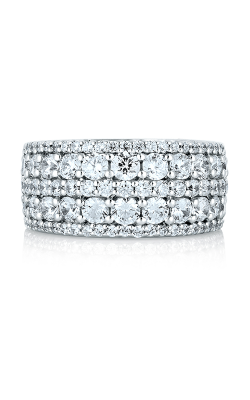 Rather than sticking to yellow gold and the occasional white diamond, Barkev’s chooses to use interplays of rose, white, and yellow gold, rare blue diamonds, and even the unexpected choice of black diamonds in these women’s bands. If you favor rare and unusual colors to best express yourself, Henri Daussi is an exceptional choice. Their delicate 18k rose gold bands pair a brilliant pink color with the harmony of white diamonds and fiery red rubies. Both designers are true geniuses in the field of modern design. Alternatively, for a more traditional look that doesn’t sacrifice artisanal quality, turn to A. Jaffe, whose Classics collection eschew stones in favor of minimalist designs in 18k gold and silky platinum. 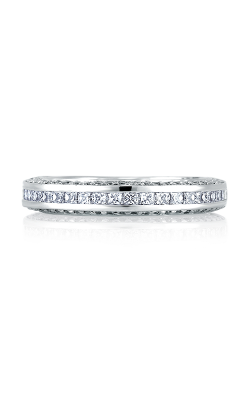 The curved bands have an eye-catching quality of their own but are wedding bands for women who want to create a DIY stackable effect with her jewelry. For a wedding band that savors the beauty of diamonds, you may enjoy the Scottish Islands collection from MaeVona, whose wedding bands feature the exotic, ultra-modern look of a tension-set diamond between sinuous gold or platinum split shanks. 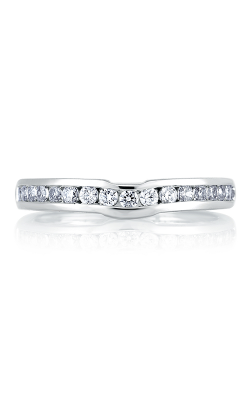 Why Shop for Wedding Bands for Women at BENARI JEWELERS? 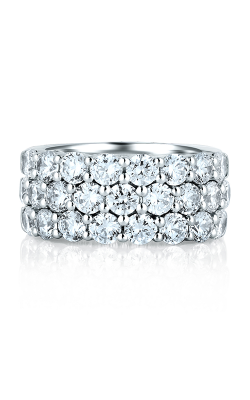 For over 50 years, BENARI JEWELERS has been serving the finest selections of wedding bands for women who want a luxurious way to celebrate their love and commitment. 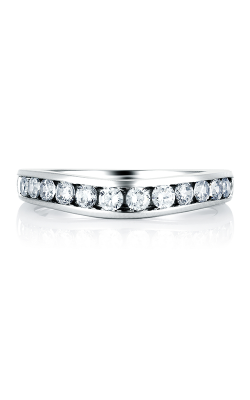 Our customers love our showcases of wedding bands, but if you’re looking for men’s wedding bands or engagement rings to pair with these delights, we’re always here to help. And don’t forget that we’re the number one jeweler in our area when it comes to fashion jewelry, Swiss-quality timepieces, and more. If you’re interested in our wedding bands or the services we offer, contact us at 866-363-0808 or visit our Exton or Newtown Square, Pennsylvania showrooms today!